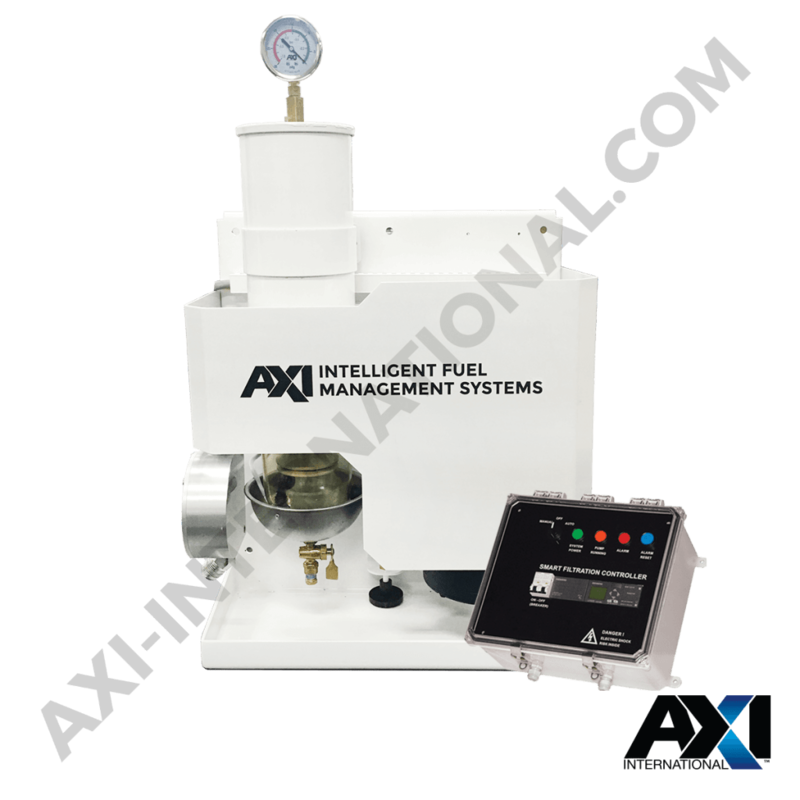 The FPS DX-S Intelligent Fuel Management System is a compact system designed to optimize and maintain diesel fuel indefinitely. Adding an FPS DX-S system will remove particulate, separate water, and condition stored fuel. 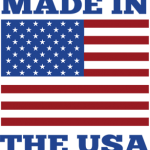 This innovative process stabilizes diesel and bio-fuels, eliminates microbial contamination, and ensures clean reliable fuel at all times. The key to ensuring optimal fuel quality requires the removal and prevention of fuel contamination through filtration, the separation and removal of both free and emulsified water, and the conditioning of fuel to reduce the size of particulate clusters. 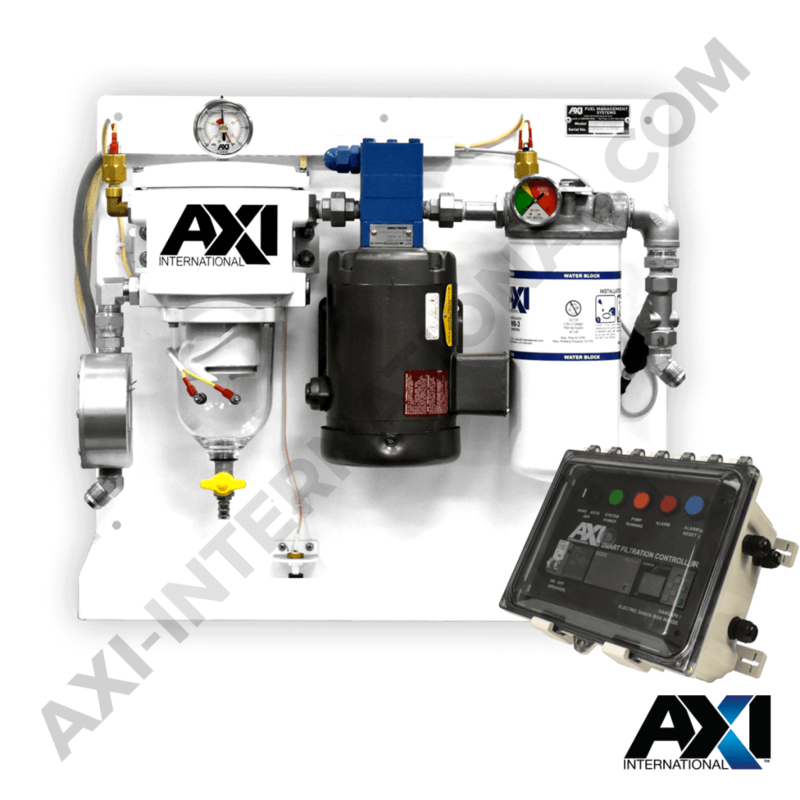 All of these processes together, configured in a kidney loop fashion to maximize the amount of fuel being polished, is exceptionally executed utilizing an AXI Intelligent Fuel Management System. 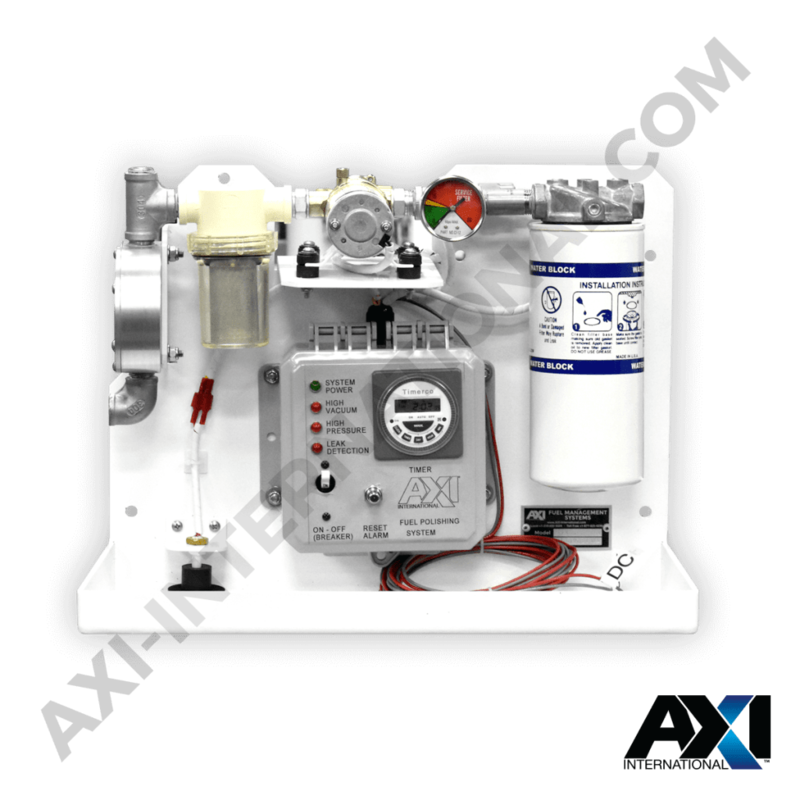 The SMART FPS DX-S system is a programmable, fully automated, fuel maintenance system that removes water, sludge, and contaminants wherever fuel is stored or used. Adding a FPS DX-S system will remove particulate, separate water, and condition fuel. This fuel polishing process stabilizes diesel and bio-fuels, eliminates microbial contamination, and ensures fuel remains clean and dry. 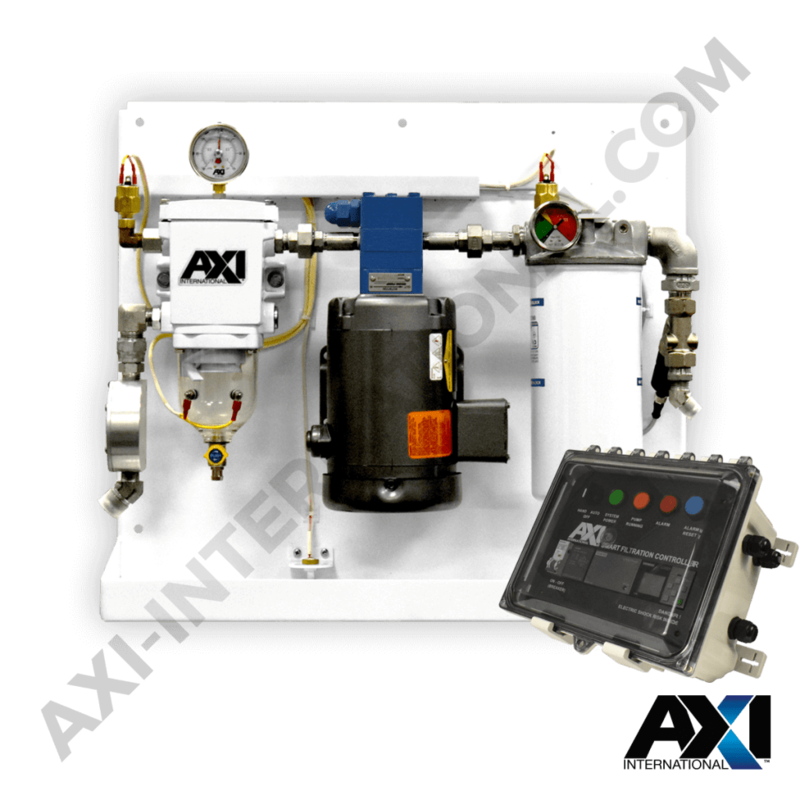 These compact fuel maintenance systems are specifically designed for permanent installations indoors, as well as confined spaces, such as inside gen-set enclosures or engine rooms. Need to polish and filter more fuel? 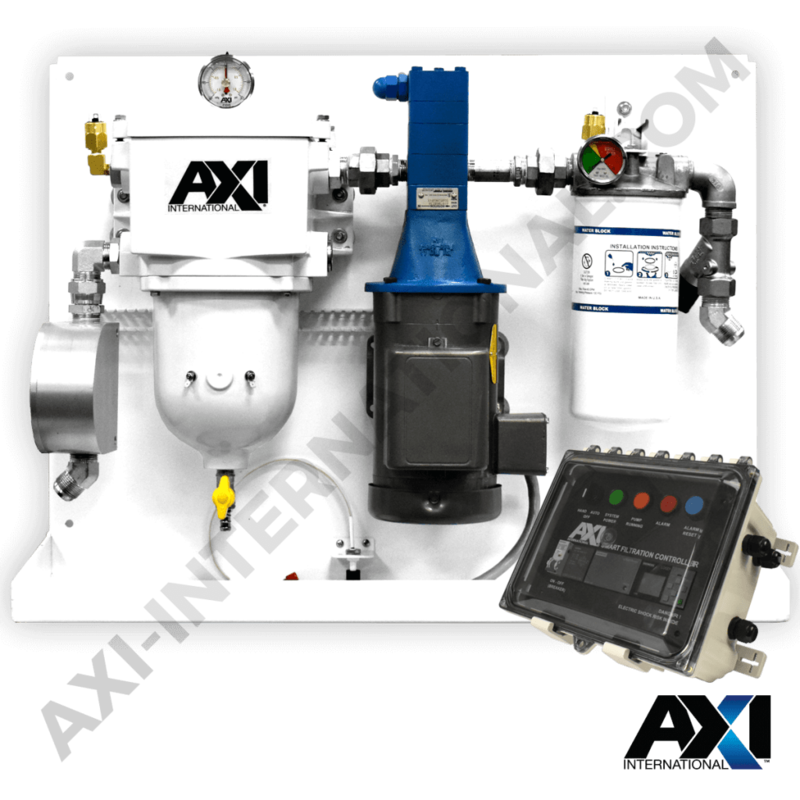 Check out AXI’s FPS LX-F System that filters and polishes more fuel automatically with it’s PLC based controller.